ALL-INCLUSIVE – What does this mean and is it right for me? When you hear the words All-Inclusive, your first thought might be – Awesome! I won’t have a bill when I get home. Well, that’s not always true. The term All-Inclusive can be confusing and even misleading, so it’s important to understand what it really means and if it is the right choice for you. Each resort that offers all-inclusive options will have a list of what exactly that entails. Rather than visiting a million resort sites to determine what’s included, work with your travel expert to determine what you need, want and expect on your vacation and then let us find you the resort that best suits your preferences. Accommodations: Although your room will be included, the upgraded rooms such as Suites and Club Resort rooms are required in order to receive some of the premium amenities such as free internet, in-room mini-bar, and certain pools and whirlpools. Meals: Many times, the included meals are at the buffet restaurants on site. The ala carte restaurants and specialty restaurants may be an additional fee. Beverages: Many all-inclusives limit guests to the local brand drinks, meaning you would pay extra for imported beers, wines and cocktails. On-site activities: Generally, the non-motorized watersports such as kayaks, tennis, pool activities are included. However, there are usually a large number of items that will require an additional cost – snorkel gear, scuba gear, banana boats, waverunners, and of course spa and fitness classes. Childcare: Although many all-inclusive resorts do offer childcare or “Kids Camps”, many times these relate to older children who can come and go as they please and take advantage of the resorts activities. But, many times, those with children under 3 or 4 will have to pay. So, is an All-inclusive right for you? Well, it can be a great way to budget for your vacation and not worry about how much you’ll spend, where you’ll eat, what you’ll do to entertain your family. On the other hand, since you have paid for an All-Inclusive, you may feel a little trapped – like you can’t go off property to explore because you’ll then be paying for meals, drinks and activities elsewhere – thus paying again for these options. Do you drink alcohol and if so how much? If your group is mostly non-drinkers, you may find that you’re paying extra for amenities you won’t be enjoying. Are you looking for a relaxed, stress-free vacation or do you want to get out on the town? If you plan to just lie on the beach, eat when necessary, and enjoy the ease of doing nothing, an all-inclusive would be great for you. If however, you are looking for an active, adventurous, try everything type of vacation, including tasting the local fare, it might be best to plan a pay-as-you-go trip. Bottom Line: It all depends on what type of vacation you are looking for. 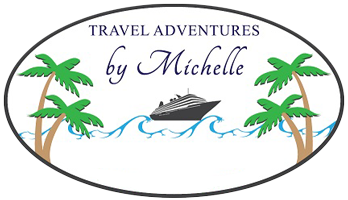 Working with your travel expert will help determine what will best fit your needs and wants.